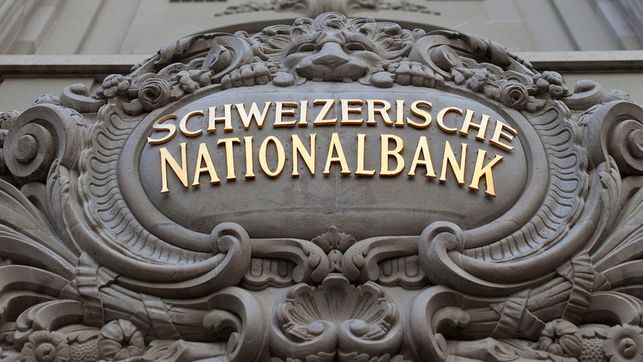 According to provisional calculations, the Swiss National Bank (SNB) will report a loss in the order of CHF 9 billion for the 2013 financial year. Valuation losses on gold holdings amounting to some CHF 15 billion contrast with a gain of around CHF 3 billion on foreign currency positions and .. Since the SNB decided to value gold at market prices in 1999, the total SNB profit over the years has been 32.1 bln. 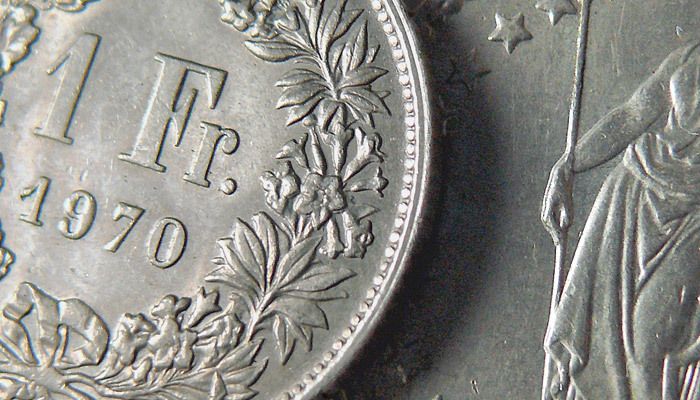 CHF. 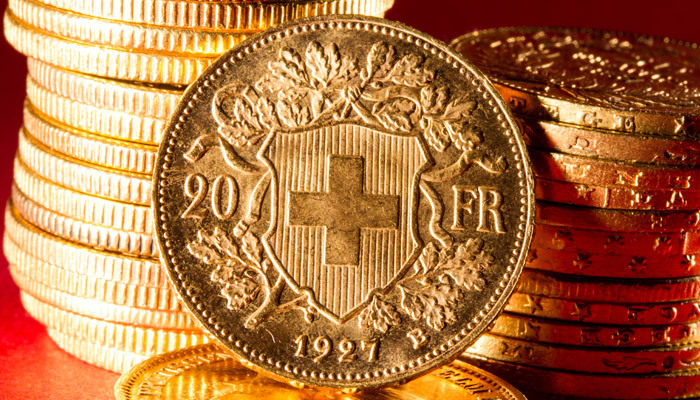 Gold contribute 24.6 billion and income on foreign currency investments only 7 bln CHF. 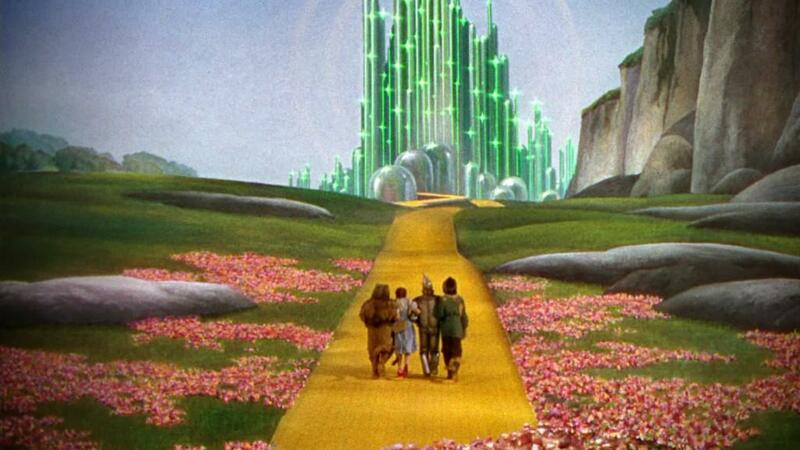 Between 2000 and 2012 the profit on gold had been 40 billion francs. 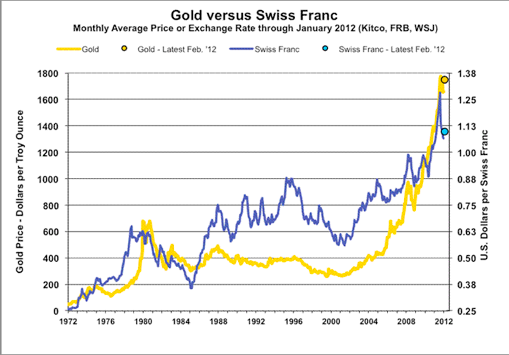 Between 2000 and 2007 the bank sold gold for an average CHF 16241 per kilo and realized profit. 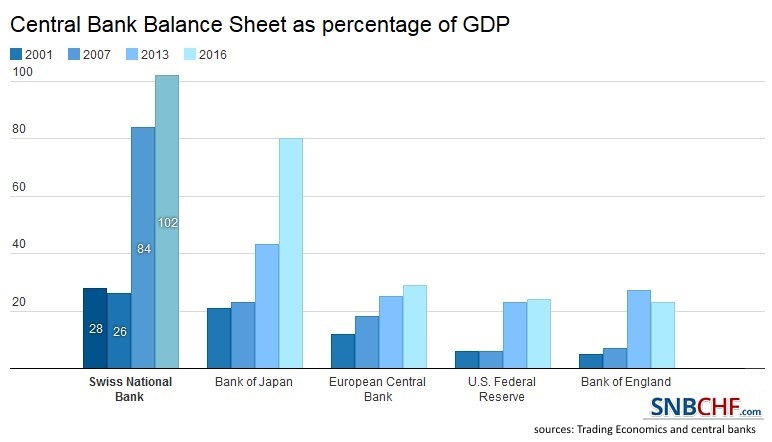 Most of these gold holdings were accumulated during decades until the 1970s,most for the official Bretton Woods rate of 35 dollar per ounce, 1260 dollar per kilo. In 1949 the Bretton Woods FX rates fixed at 4.375 CHF per dollar, this corresponded to 5512 CHF per kilo. 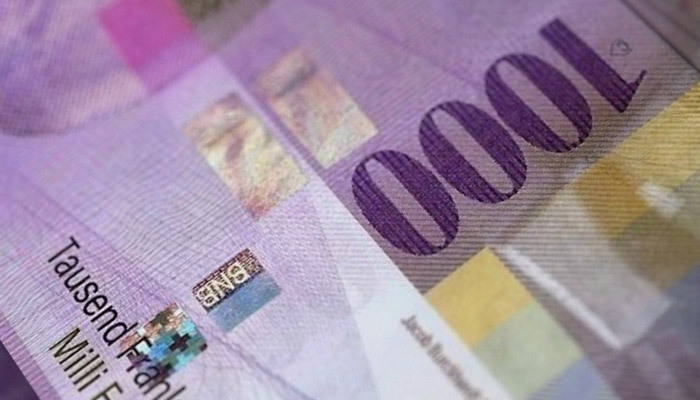 By end 2013, the price for a kilo was around CHF 35700. Here a different source for SNB total annual results. 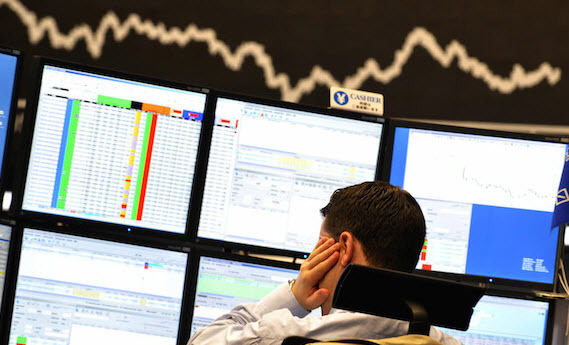 The SNB claims that – opposed to stocks and bonds – gold is not useful, because it has just a cost of carry but no yield. (click to expand), major source SNB annual reports, e.g. report 2012 on page 72. Would be interesting to see a similar approach of accounting by the Federal Reserve. Given a DV01 of ~4Busd and recent rising rates, it is convenient to mark it all to maturity. Being an asset, gold has to live under the mark to market sword. The SNB is certainly not the only one losing on gold this year. 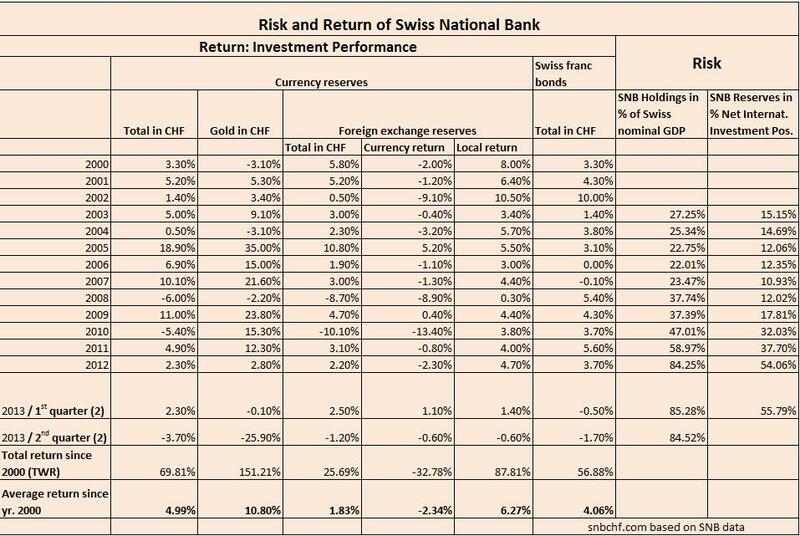 The SNB has created the performance report. I added the link.